Apple iwatch has created great hype and enthusiasm in the markets. Apple iPhone fans are eager to know the Apple Watch price, features and release date in India. As per the strategy of creating eagerness for the phone and conducting a launching ceremony Apple has held the launching ceremony of the Apple smart watch on March 9th, 2015 at San Francisco. Though Apple has clarified that this watch will not be called as iWatch but simple Apple watch or Apple Smart Watch. Apple describes its watch as an accurate time piece, a companion for health and fitness, and a great communication device. Apple watch is going to be highly customizable device, which is going to change the meaning of communication in a glance. Interaction on this watch is going to happen through third party App specially designed to suit the operation through wrist. So you can call it as messaging device, which gives notifications, related to health and at the same time shows accurate time. Definitely, Apple watch features are going to be exceptional because of its brand name. Though Apple watch is releasing in some select countries on 10th April, 2015, it will be released in India in June. Most probably date of release of Apple watch in India is 15th June. First sale of Apple watches will start from UK Apple stores from 24th April. You can place a pre-order on Apple online store. People of India have to wait for Apple watch release date in India. Apple watch is going to be sold in US markets at the rate of $349 and UK markets at £299, it would be around Rs. 21,000 in India, excluding VAT and other taxes. The base model is called as Apple Watch Sport. In total, there are three models to be released. People are speculating more on Gold Apple Watch. Apple Watch pricing in 18 karat gold alloy at $10,000 in US, £8,000. Approximately 6 lakhs Indian Rupees. Apple watch pricing will vary according to the taxes as per the nation. These are the basic Apple watch price. People are still considering the fact or searching on confusion if Apple watch is too costly? Apple’s design incharge Jonathan Ive insisted company to keep a higher price range to appeal the upper class of the society. Just like high end car models, Apple is up to creating a special market for special people. In a way, Apple watches will be like a status symbol. There are three categories of Apple Watch. But in total you can create 38 different permutations with the customizable ordering facility. It has different finishes with different strap and features. The finishes include, Silver Aluminium, Stainless Steel, 18 carat yellow gold, Space gray Aluminium, 18 carat rose gold finish, Space black stainless steel. With 2 different sizes and 6 different finishes, you can create a completely different look on purchase. Apple Watch is released with different bands such as classic buckle, modern buckle, link bracelet, leather loop, Sport band, Milanese band. 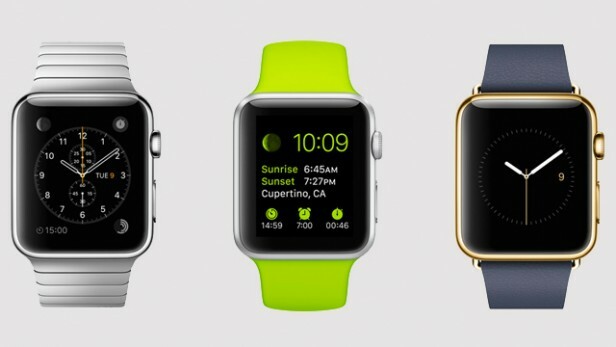 Apple Watch Sport is available in 5 different color bands, which are pink, blue, lime green, black and white. Apple Watch edition is designed with three colors of leather bands. Having a look at all the details Apple watch features and rich in class will be a delight for high end customers to buy. The technical specification of Apple Watches are same, whichever model you buy. 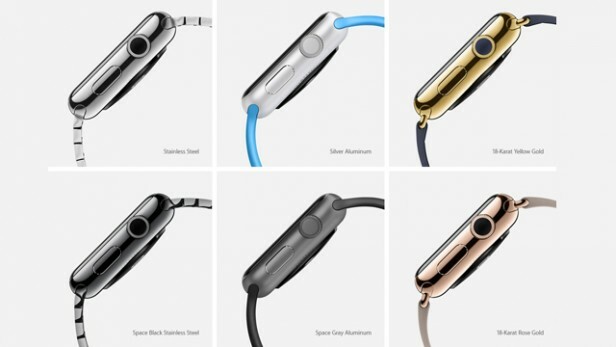 Price variation in all the Apple watches are because of the cosmetic variations. Only difference you can expect is more battery life in 32 mm model compared to 48 mm. All the Apple watches will come with 8 GB storage. Out of this 8 GB, 2 GB is spared for music files, 75 MB for photos and images and rest 6GB will be used for caching, operating systems and internal storage. Processor inside the Apple watch is totally custom designed and the chip is called as S1. Encapsulated with many subsystems, this chip is covered in resin for extra durability. Apple watch is studded with built in speaker and mic. There is a scope for blue tooth headphone as there is no headphone port in it. Apple watch is not water proof but water resistant. Charging an Apple watch is completely new as the charging cable will snap the back of Apple watch with magnetic induction. Seeing Apple watch price, features, release date and other Apple watch specifications it is going to be an eye candy piece of technology with a status. Apple iWatch is designed in a way that no other person will be carrying the same piece and each one can have their unique Apple Watch to carry their style statement.